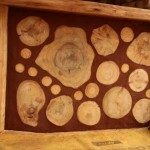 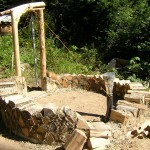 Cobwood is a hybrid between cob and cordwood construction. 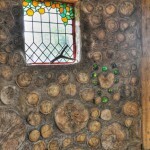 With cordwood, the walls are built like a stack of firewood, and the spaces are typically filled with a mix of sand, sawdust, and lime or in some cases cement. 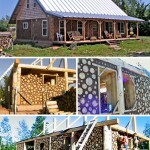 As an infill with wood, cob is not as strong as masonry, and not as weather-proof, but it’s cheaper, nicer looking, and easier to work with. 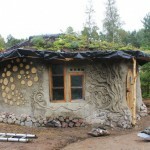 Cob is a very old building technique in which you stack dirt and straw into free-standing monolithic walls. 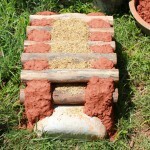 The dirt has to have some clay, but beyond that people worked with whatever dirt they had. 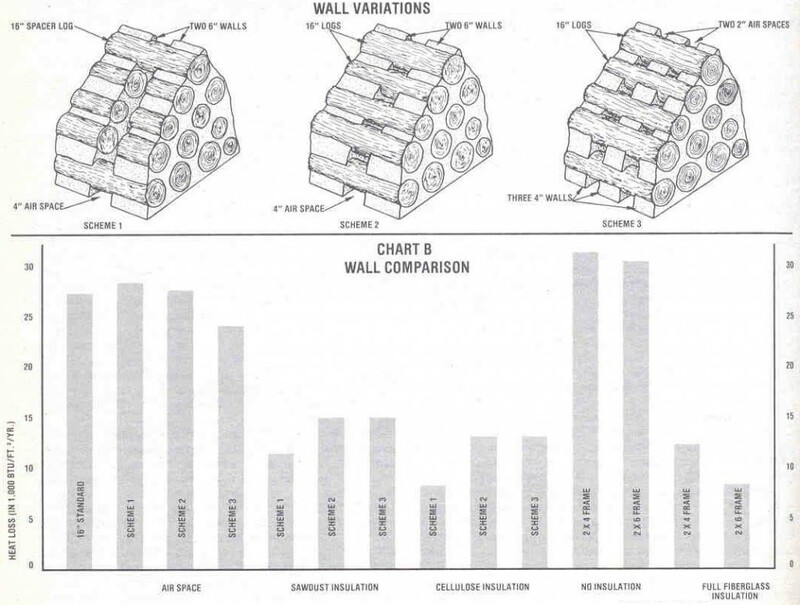 Because cob can be softened and dissolved by too much water, you will need a foundation to keep it off the ground to avoid direct water exposure and to avoid splash damage to the wall. 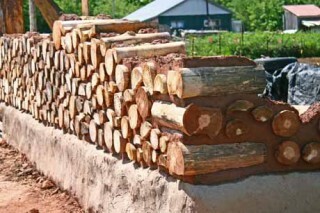 Cobwood uses the cob as the mortar between the wooden logs to create a truly natural wall, and a distinct look. 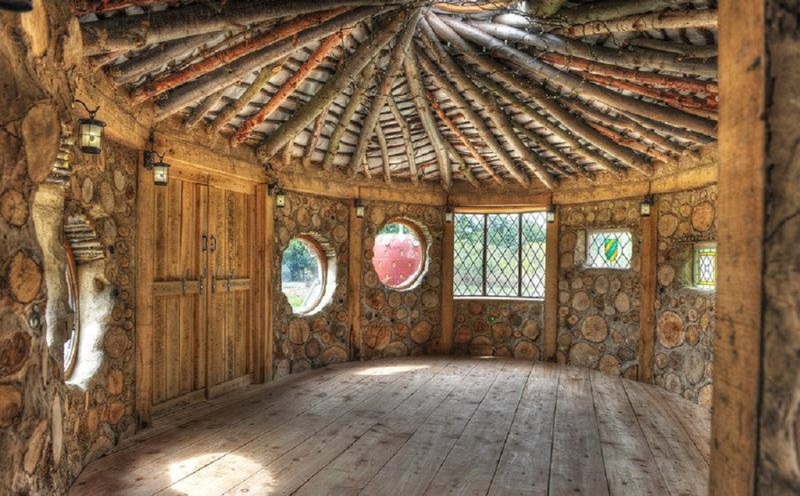 The space in between the rows of cob can be filled with a mix of lime and sawdust to increase insulation properties of the wall and to avoid cold bridges. 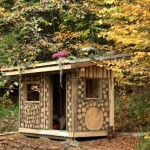 Dit artikel is geplaatst in construction en getagged alternative, building, cob, cobwood, construction, cordwood, green, natural, organic, sustainable, wood. 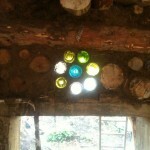 Bookmark hier de permalink.